Our e-rickshaws now also in Dreamy Cream color! 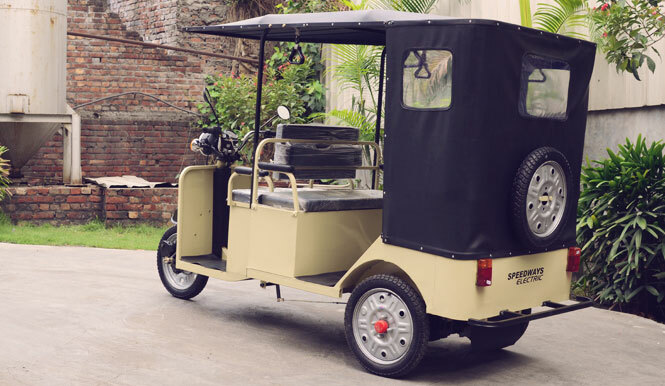 A beautiful e-rickshaw like Musafir needs to be flaunted in every color possible – and so we’ve launched our e-rickshaw in a new dreamy cream color. This soothing classy color is a great choice for those who want to flaunt the elegant built of the e-rickshaw on the roads. We have worked hard on co-ordinating our color palettes, ensuring every accessory fits in perfectly with the body color. The e-rickshaw now also comes with a host of custom accessories for you to pick from and build your own e-rickshaw! Musafir, our premium e-rickshaw, comes with the optional spare tire for any road emergencies. The tire is supported on the back frame, always handy and easy to change when required. We have ensured the proper fitting with our back cover – also made with premium material to ensure no wear and tear over long running distances. Not only have we made our e-rickshaws to ensure maximum comfort for the driver and passengers, but we have also made sure that driving is a breeze. With easy controls and a clearly indicated system, driving will be a joy for anyone taking our e-rickshaw for a ride. 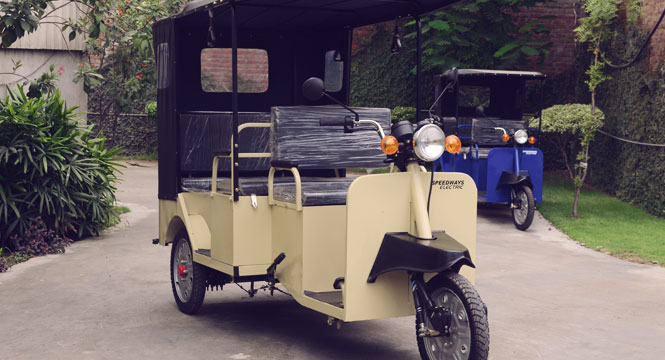 We have built in speed indicators to keep the driver aware of the limits and the battery indicator to ensure the e-rickshaw is adequately charged before and during the rides. The e-rickshaw is operable through its handlebars and anyone with minimal driving experience can handle the drive easily. Contact us today to learn more about how we can make e-rickshaws for you and how our dealership presents exciting opportunities for you!